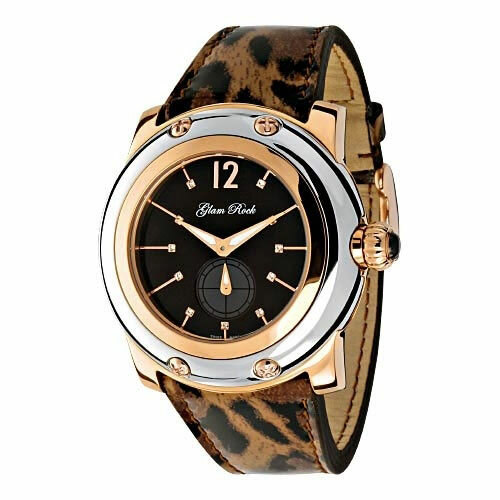 Born from Italian creativity with an international appeal, Glam Rock's couture timepieces reveal their strong temperament through changeable case covers and the easily replaceable straps in refined materials that contribute to highlight the care for quality and innovation as well as fashion trends. 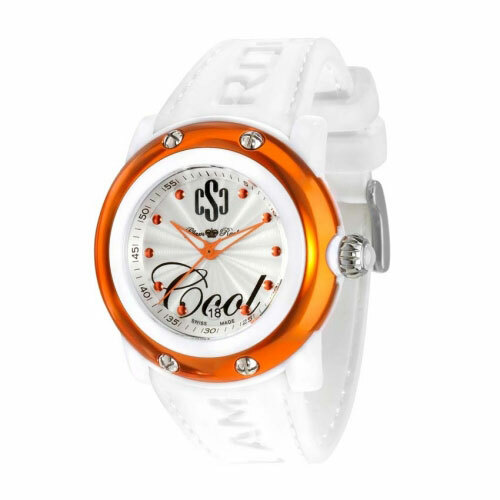 Featuring a Swiss Ronda quartz movement, date function, silver dial with orange coloured hands and markers surrounded by an orange Duramet case. 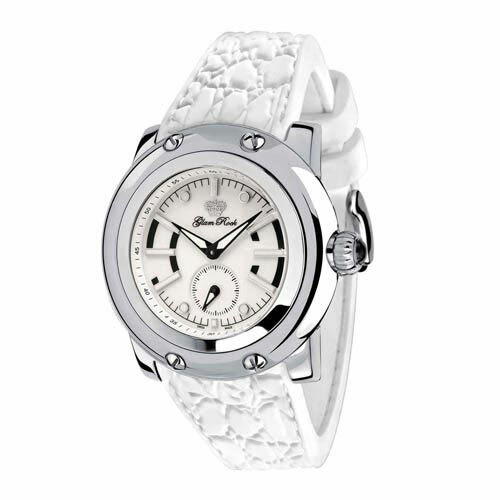 This watch is beautifully finished off with a white silicone strap.